Background. Laparoscopy-assisted distal gastrectomy(LADG) has become a viable alternative treatment for patients suffering with early gastric cancer. Surgeons have long thought that obesity might increase the rate of intraoperative or postoperative complications. 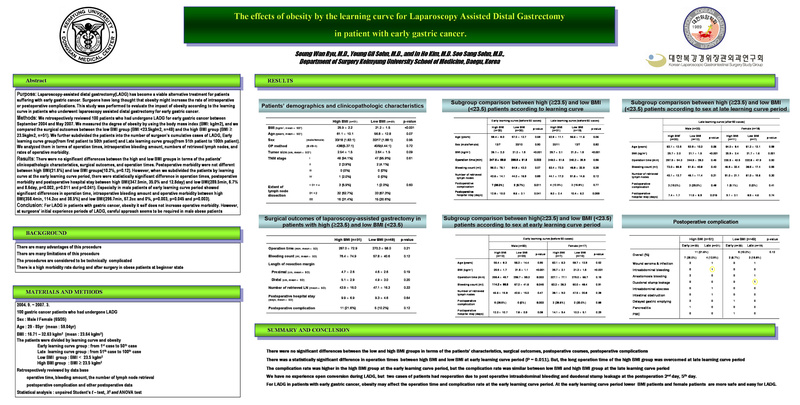 We set out to clarify the effect that obesity has on performing LADG for the treatment of early gastric cancer.